Costa Rica is a destination for all the desires, tastes and needs. If you are looking for spas during your Costa Rica vacation packages, please consider that it has a good variety of luxury hotels and many tempting proposals of Spas for vacations. The offer also adjusts to the best honeymoon spots, high end families or solo travelers who prefers comfort and privacy. The facilities and services are specifically developed to be a popular option for tourists and definitely you will find in Costa Rica places considered one of the best ones in the world. Being a relaxing way to enjoy the family holidays, Travel Excellence wants to suggest not only some spas in the country but also new and different options to experience a relaxing and affordable vacation packages and for sure, its spas. This beautiful property is located at 20 minutes approximately from San José Costa Rica International Airport, one of the best Costa Rica family resorts in the Central Valley. It has a great view as it is located on Alajuela mountains; a personalized service is one of its values and the spa treatments can be offered in open bungalows with a view of the amazing valley. It is certainly a chain hotel and maybe is not the most attractive for those who do not like big resorts, but its service quality, and high standards world known, constitute one of the important reasons to consider it. Its spa is just amazing, you will not feel like you are in the city, and it is another option in for families. Located in the peaceful Turrialba mountains, secluded and close to indigenous communities living on the river banks. The spa has a beautiful and relaxing music, the one that is naturally produced for the river and the birds in the surroundings. If you are looking for a family adventure, this is the right place. Located in Costa Rica’s tropical cloud forest, El Silencio Lodge is an eco-luxury hotel, perfect for relaxation and nature lovers. El Silencio features five hundred acres with hidden waterfalls, a nature-immersed spa, yoga, hiking, meditation, and healthy organic cuisine available on site. It is one of the most recommended properties for having and enjoying your Costa Rica romantic honeymoon. Located in El Cacao de Alajuela, skirting the Poas Volcano, Asclepios, (honoring the Greek God of Health), offers guests rooms, yoga and meditation pavilion and organic restaurant. All the treatments are done by high skilled spa therapists and a selected team of holistic practitioners from all over the world. Your spa vacation packages, should start or end there, as it is very close to the International Airport. Located near the famous Arenal volcano, this award-winning Grand Spa joined the Leading Spas of the World in 2007, is on the top of spa rankings worldwide and named one of the "best mineral spas". 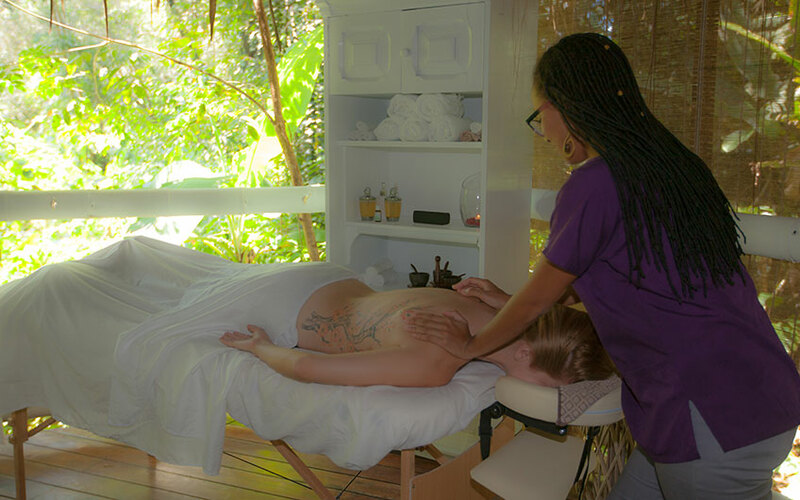 The resort provides different native treatments and caring therapy experiences. 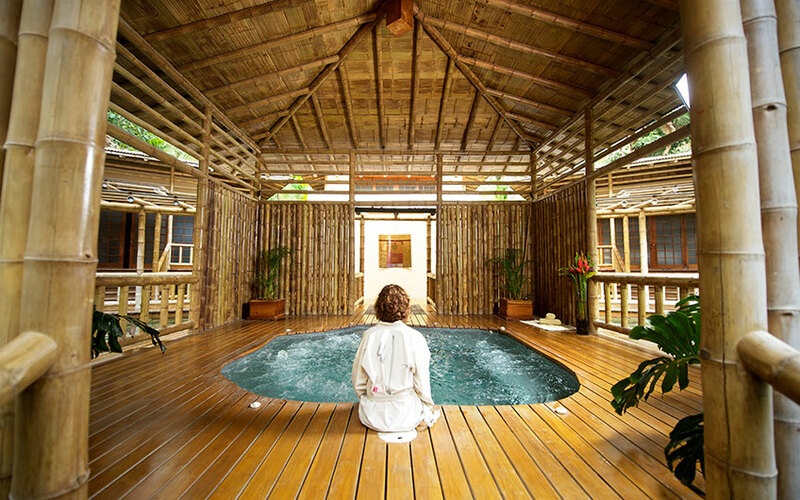 The spa experience is a must in your visit to La Fortuna Costa Rica where you will enjoy a total relaxation. It is perfect for your family vacation itinerary, because it has big rooms and villas, hot springs in the property and a club for adventure activities. Its spa is an oasis of peace, and the lodge is secluded and has a beautiful view of the volcano. The property is known as one of the best in the country, for Costa Rica honeymoons we highly recommend this hotel, as it offers separate bungalows immersed into tropical gardens with a very private view of the Arenal Volcano. The spa is also known as one of the best ones in the country. It is also located very close to Arenal Volcano and a good option in for families. It has a good location, secluded, with beautiful gardens and a spa that is in the quiets place. Even it is a big resort, it is certainly a high-end property that offer very good spa treatments. This family resort, has a good location as it is right on the beach and it also has a kids club. This is one of the best boutique hotels in Guanacaste Costa Rica, the spa bungalows are immersed into the nature and are open, so you can hear the live nature. It has beautiful rooms and villas for big families with private plunge pools. This astonishing beach front property, is another good decision for your family trip to Costa Rica, its bungalows are secluded, apart from the main facilities so you can rest and be disconnected from the world and enjoy your Spa treatment a lot. It is located close to Manuel Antonio National Park, is a beautiful property and is almost the only one that has a direct and private access to the beach. Your Costa Rica honeymoon can include this cozy hotel, as it is more recommended for couples and there is nothing to say about its spa, it is just incredible. This is an adult only hotel, located up on a hill, in Manuel Antonio. It has a relaxing and nice spa; and it is a small property and very private, perfect for honeymooners in Costa Rica. The best hotel of the South Caribbean side of the country. It adjusts to families or couples and has a good quality spa and a beach club, where you can enjoy one of the best beaches in Costa Rica. Its spa made of bamboo is very different and unique and one of the best in the area. This beach hotel is recognized as one of the best ones in Costa Rica, the place where it is located is very different, nice and featuring a relax atmosphere. They offer separate villas, only for adults, so it is perfect for honeymoons. 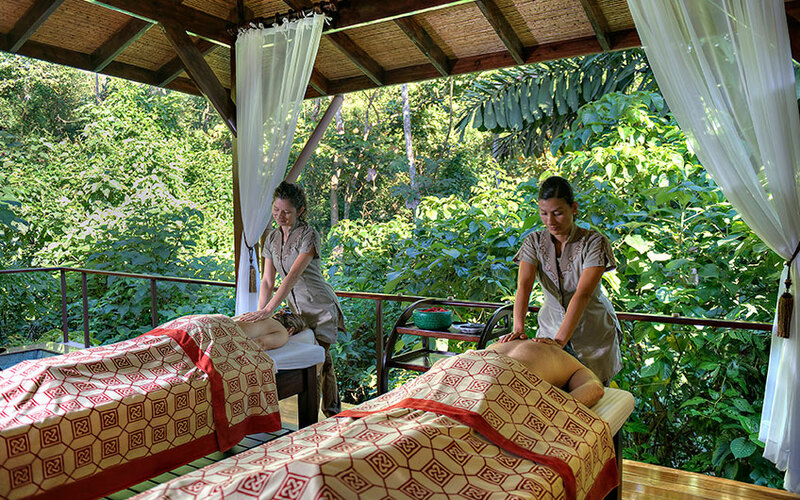 One of its values, is the Spa service in the villas, that will offer you more comfort and privacy. These are some of the luxury hotels that we can offer you, during your vacation packages, there are too much more options that our expert travel designers can recommend you according to your desires, just contact us if you require more details about your spa vacation packages. Please also, leave us a comment about this article!